I was sent this AMAZING odorless bug repellent and I'm really pleased to say that we finally found one that really, honestly truly WORKS!! With moving and all the rain we have had here in NJ the mosquitos are in full force. We cant go outside for 2 seconds without getting bitten alive. Hubs was getting really fed up and nothing we tried was working. As soon as my package arrived he quickly tested it out. He applied right before he went outside and 4 hours later when he came in from packing the garage he didn't have one mosquito bite!! 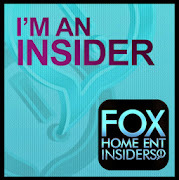 WOOT WOOT!! Wisconsin Pharmacal has joined with The Coleman Company, the leading outdoor products company, to continue providing gear that has long been at the center of family fun. With the addition of our new line of insect repellents, sunscreens, and other essentials, your family can fully enjoy being together outside. Whether you’re looking for a repellent to use at the backyard picnic, or something made stronger for a deep woods hike, Coleman® repellent has you covered. 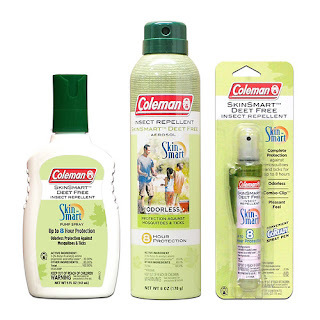 In addition to classic DEET-based formulas, Coleman® repellent brings innovation to the category with a new DEET free, SkinSmart formulation ideal for families. We’ve also made protection more convenient with our new pocket-sized Go Ready™ spray pen delivery system perfect for life on the go. Simply clip it to your backpack, shirt pocket or other gear and you’re covered all day. Welcome back to the great outdoors, made easier with Coleman® repellent. I'll have to try this big spray out. We moved to an area that has a lot of mosquitoes and I really picky about bug spray. I don't want to feel and smell it all over.